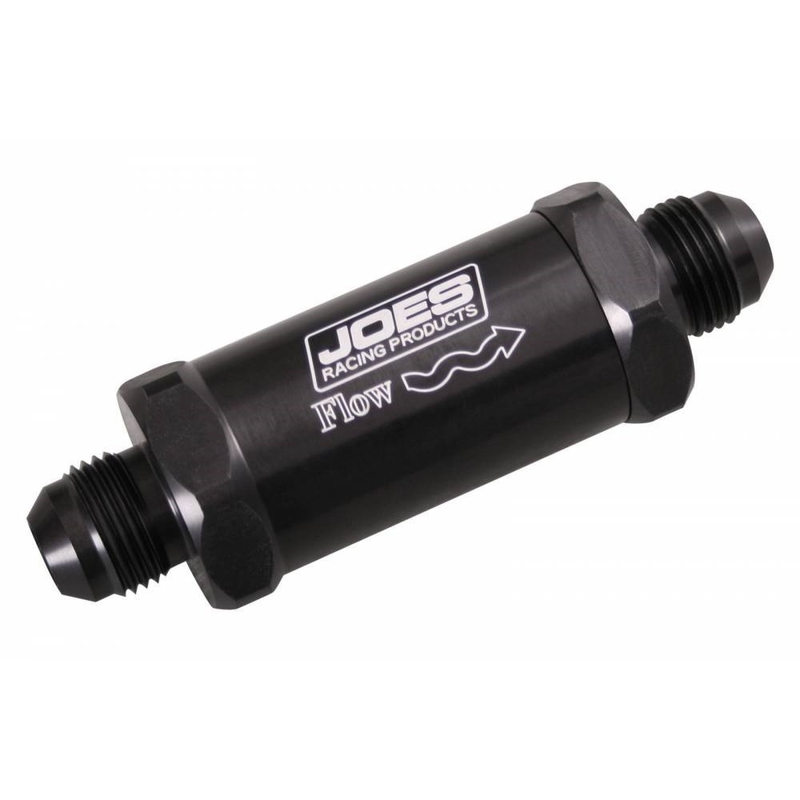 JOES New Inline Fuel filters are specially designed for high flow. The 140 Micron mesh screen is optimal for keeping your fuel system free of debris while promoting ample flow. 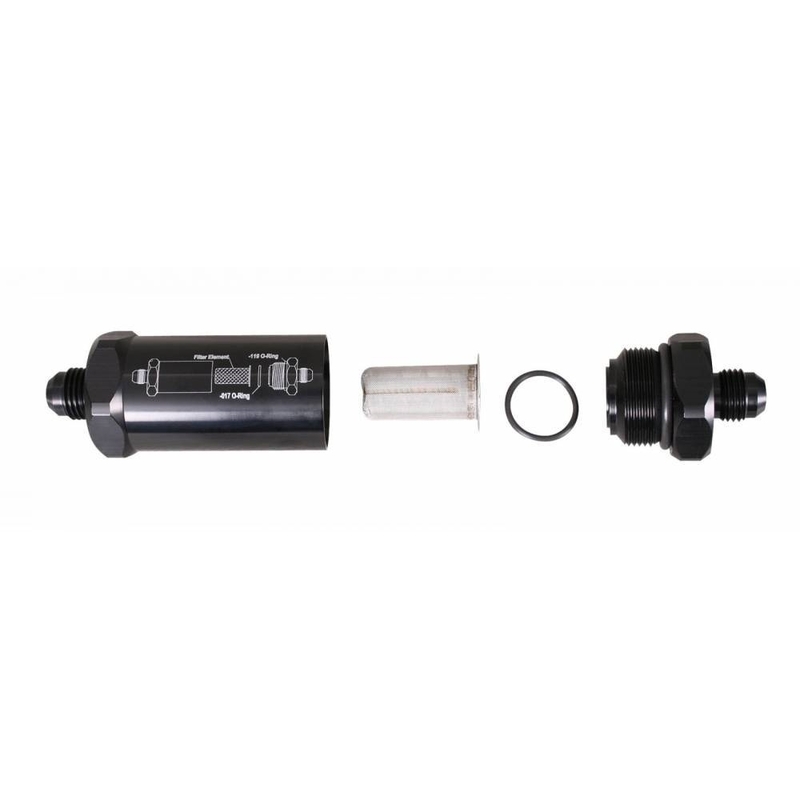 We vividly laser etch the fuel flow direction right on the housing so you are assured of a quick and correct installation every time. Choose #6 or #8 AN.